The Spring 2009 couture shows were recently shown in Paris, and you can see them online at Style.com. They do a great thing at Style.com which is provide detail shots which are fun to look at. After all, in matters of style, God is in the details. 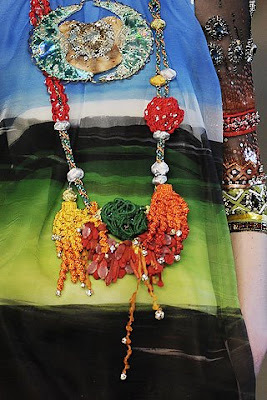 Christian Lacroix is a great master at combining all kinds of colors, fabrics, textures, and shapes. His combinations are infinite and extraordinary; they go on and on -- stripes and polka dots and you name it, he can do it. These are happy clothes. They make you smile and be glad to see them. He really is an artist in the way that he mixes colors like paint. I mean, isn't this a beautiful thing? Brush strokes of red, yellow, orange, pink, and then on top, slashes of green and blue. The whole rainbow in one detail. 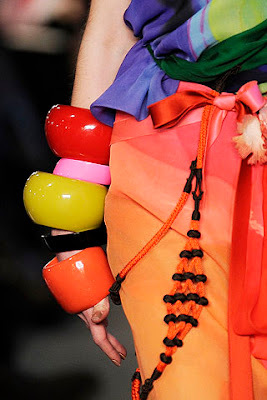 Draped chiffon, satin ribbons and plastic bangles make up a delicious composition -- art that moves on the body. This looks like three necklaces piled on one another. Red coral, blue beads, white drops. The French are so good at this sort of thing. This is one long crazy necklace on top of a wildly striped chiffon caftan. 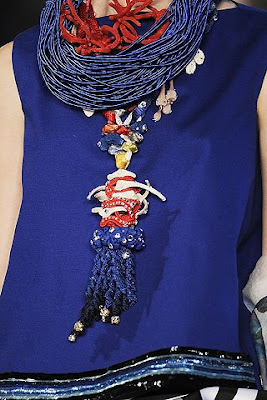 The necklace is an asymetrcial concoction and drips with beads and sparkles. This detail is reminding me of India, and Auntie Mame. Wouldn't you love to see a hostess in Westport throw a fondue party in this outfit? Monsieur Lacroix inspires with his joyful, exuberant creativity. These are happy clothes. They make you smile and be glad to see them. He really is an artist in the way that he mixes colors like paint. this was fun. you're SO right about lacroix. what a genius colourist. Wouldn't you love to see a hostess in Westport throw a fondue party in this outfit? What about this hostess in New York City? 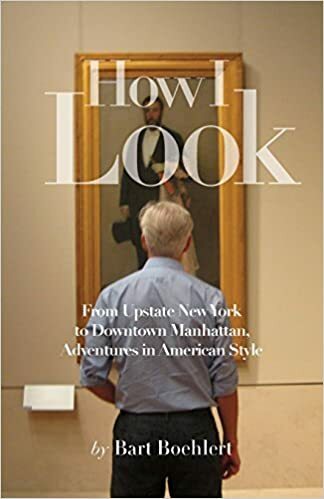 beautiful clothes!